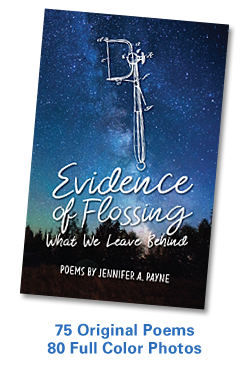 Part social commentary, part lament, the poems in Evidence of Flossing are, at their heart, love poems to the something greater within all of us. Inspired by Henry David Thoreau, John Muir, and Mary Oliver, they explore the essence of spiritual ecology: the human condition juxtaposed to the natural world and the possibility of divine connection. Its pages are illustrated by an absurd and heartbreaking assortment of original and vintage color photographs, including a series of discarded dental flossers that prompted the title of the book. Evidence of Flossing: What We Leave Behind follows on the heels of Payne’s 2014 well-received book LOOK UP! Musings on the Nature of Mindfulness and continues a dialogue about our innate connection with nature. Both books will be available at the event, which is free and open to the public. Refreshments will be served. 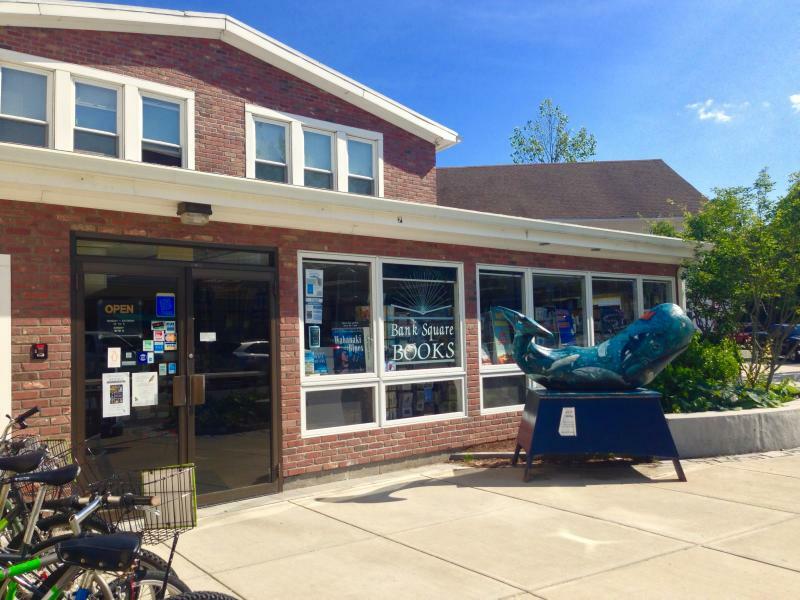 Bank Square Books is a locally owned and operated bookstore located at 53 West Main Street in the heart of downtown Mystic, Connecticut (www.banksquarebooks.com). For more information about the book and event, please call (203) 483-5353. This entry was posted in Books, Mindfulness, Nature, Poetry, Spirituality, Writing and tagged Book, Creativity, Ecology, Environment, Mindfulness, Nature, Photography, Poetry, Spirituality, Writing. Bookmark the permalink.